Hello, My Name is Chouhan. Rakesh Chouhan, 33 years old, born and grew up in Hyderabad, India. Currently working in Charlotte, NC. Highly motivated, a solution driven developer. I currently work for N2 Services Inc., as a consultant for different clients and projects where I spend most of my time developing and working on awesome projects. I am a team player, a self-motivator possessing excellent analytical, communication, problem solving, decision-making and organizational skills. I love to be in a challenging position in the diverse field of design, development and verification software and as well as hardware technologies. I am passionate and enthusiastic in learning and adopting new technologies. My ultimate objective is to make myself stand in parallel with the latest research and developments, and at the same time benefiting the company for which I work. It's important for me as a programmer to have extreme interest in following the latest trends and eager to participate in any continuing education opportunities that are available and so I "GOOGLE" for it very often. Instead of spending hours searching for issues blindly, I prefer to carefully investigate the code and research for possible issues until an answer is found. Programming can best be compared to solving an extremely difficult math equation. I thrive on finding ways to make something work, despite the odds. I foresee every possible scenario & situation to solve a given problem thinking out of the box. I gladly put in long hours when the situation merits in. I am more of a self proclaimed "computer geek", spending most of the time creating apps for myself, friends & community, building and tweaking servers, learning new technical and non technical things while in my spare time. Almost 90% of the time, I always was able to handle tight deadlines and even the most stressful situations calmly and gracefully, and most importantly be able to continue working. All what I require is a complete silence environment to thrive. I regularly interact with client, managers, business users, co-workers for various reasons. I tend to participate in client meetings, business meetings, etc., to keep up with the ongoing happenings and also explain them how a system works. Yes, being a human, I sometimes go lazy, which I do not consider it to be a bad trait to which would impact my productivity. Instead being so, I sometimes find a best way to do something quickly in a more efficient way. Being a business-focussed programmer, it's not easy for me to lose sight of the big picture while focusing on creating one piece of software. I do come up with suggestions and ideas for new applications that can improve operations and move beyond the current application. Rather than jumping into a new assignment, I first learn as much possible about the desired end product. Once I complete that analysis, I would go with design in mind before typing in the first line of code. I always love to fail first and pass later while programming. In fact, failure is almost a certainity. I rarely get everything right on the first try. However, I see errors and bugs as a challenge rather than a sign of defeat. I have the ability to start over from scratch if necessary, even after hours of work. I rarely get the oppurtunity to work alone. I always carry the ability to collaberately work with clients, managers, business users, marketing and sales staff, and fellow programmers (sometimes do pair programming, based on needs). As my career progressed working with variety of different clients, it wasn't just researching the programming language api kept me rolling but it was essentially important for me to understand the business structure for the client I work for, which eventually ended up having me the willingness to research the business. Whenever I feel I am confident enough, I sometimes multitask, to speed up the process or save time. I feel confident that my competency on deliverables, problem-solving skills and debugging skills are more productive when working in a quiet environment rather than working in chaos. I do work on projects with deadlines and I respect that. It makes me more responsible by adhering to timelines, if I am preparing for something or want to achieve something, I would rather set a examination date or a deadline date first. Thanks to my parents for helping and supporting me for what I am today. Masters in Electrical and Electronics Engineering. Graduated with distinction majoring VLSI Systems design with specific interest in Embedded Systems and Sensor Cells. Bachelors in Electronics and Communications Engineering. Graduated with distinction with extensive interest in Embedded Systems, VLSI, Telecommunication, Electro Magnetic Theory and Networking theory but not limited to Computer Science subjects like Pulse & Digital Circuits, Operating Systems and Computer Networks. Excelled Intermediate Education (Class of 11 & 12) with top of the class marks mainly in Maths, Physics and Chemistry subjects. It's really hard to get back to those initial days of incubating maturedness which was filled with joy and learning things every day in a new fashion. I always feel that I was very well nourished with the qualities I carry myself to this day. I was a simple, sober and a very bright student who would complete his homeworks on time, taking examinations very seriously and had ambition towards any goals which were set forth. Compass Group USA - Sr. Software Engineer. Goldman Sachs. - Sr. Principal IT Consultant. VMware Inc. - Sr. Principle Software Engineer. 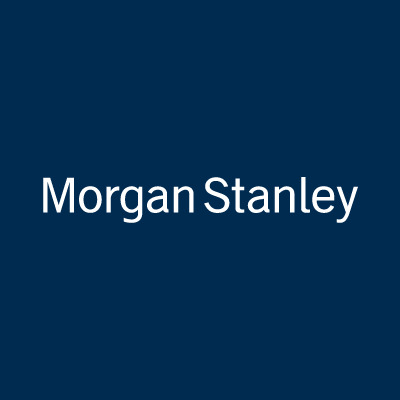 Morgan Stanley. - Sr. Software Engineer Consultant - Remote. Deloitte LLC. - Sr. IT Consultant. - Department of Children and Family Services (DCFS) Louisana. - Department of Health and Social Services (DHSS) Delaware. "The Owner's Management Suite helps the food service suppliers a way to interact to Vendors, Marketers, Temporary Associates & User Admins with humongous amount of data (such as Cost Centers, Point of Sale, Book of Records, Vendor Locations, etc.,) in the form of Web UI. The backend is orchestrated with microservices architecture by leveraging a hybrid cloud (both On-Prem & AWS) infrastructure." 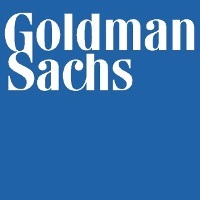 "The Expense Management Application supports Goldman customers to raise Invoices for their monthly businesses. It allows the customers to Self Service themselves with followings tasks like, assigning Invoices to Anlysts, Coders, Reviewers, Administrators, etc." "The Sqoop Data Ingestion Application is the one which re-models an ideal RDBMS IDE/Workbench something like a MySQL or a SQL Server editor into a rich interactive and intuitive GUI Application, which helps Hortonworks internal users to directly function with backend data model which are fetched from different internal data sources." "The vSphere Web Client enables you to connect to a vCenter Server system to manage an ESXi host through a browser. The VCSA Installer (aka. vCenter Server Appliance) deployer is used to run the vCenter Server, where the user's can easily install and configure vCenter without the need of having a dedicated server. This product was first developed in Windows Client, which was again packaged as a Linux based VM. Currently this product goes as a standalone application which provides the same functionality as the Windows Client." Department of Health and Social Services (DHSS) Delaware. "ASSIST is an online application for Delawarians to apply for many health and human service programs. The fast and easy way to apply for various benefits - anytime and anywhere. Benefits Include, Health Care Coverage, Supplemental Nutrition Assistance Program (SNAP), Cash Assistance, Long Term Care, Free or reduced school meals, etc." "COMPASS is an online application for Pennsylvanians to apply for many health and human service programs. The fast and easy way to apply for various benefits - anytime and anywhere. Benefits Include, Health Care Coverage, Supplemental Nutrition Assistance Program (SNAP), Cash Assistance, Long Term Care, Free or reduced school meals, etc.."
"Capital Budgetting (CB/Wallet) and Technology Funding Requests (TFR's) are flex based internal dashboards of Morgan Stanley to maintain Funding Management of various clients across the world. These dashboards are also intended to serve the workflow status of each request made. FAM (Funding Alert Management) dashboard was intended to serve the Business Owner's, the Super Departments to view and or take an appropriate action (CRUD operations) on a Wallet or a TFR." "CAFE (Common Access Front End) is developed for the Department of Children and Family Services (DCFS) for State of Lousiana. The Rich Internet based CAFE application, serves the residents of lousiana to opt welfare programs for Child Care and Family while selecting various Benefits.CAFE application is purely a browser based application." "ASSIST/COMPASS is an online application for Delawarians/Pennsylvanians to apply for many health and human service programs. The fast and easy way to apply for various benefits - anytime and anywhere. Benefits Include, Health Care Coverage, Supplemental Nutrition Assistance Program (SNAP), Cash Assistance, Long Term Care, Free or reduced school meals, etc.. "
"wiTech Vehicle Diagnostic Application serves as the core and the integral software to inspect all the Chrysler Vehicles and is currently being used by all the Chrysler Dealers across the world. This wiTech Application is Desktop based AIR Application which is purely built using Flex Cairngorm Micro Architecture as the Front End, which connects its own built-in Server (called as wiTech Server) written in J2EE Platform. The Entire backend data is being contacted using secured Socket Connections." "Template Manager for sending mails is used for internal Business employees of Verizon Telecom which is totally based on Flex as the UI and J2EE as the server side. This project is mainly intended to make the Business more user friendly. Template Manager is used to send promotional, billing dues and offers as emails to the corresponding preferred customers of Verizon. Template Manger also sends mails to a group using the Open EMM (Open Source Email Marketing Management) server which internally uses a web service." "A web based project designed and developed for insurance agents to issue a policy through web. Agent can then, check the status of the customer, while issuing policy house hold information of primary insured or head of house hold, consumer details, number of dependents and coverage details are required. Once all the required details are entered policy number is auto generated." Knowledge comes from learning. Wisdom comes from living and Wisdom begins with Wonder. A course completion certificate from Erlang Solutions on Erlang Language. Received Green Belt in Six Sigma as part of my Masters Course. Congratulated with distinction in MS-DOS, C language and MS Office 98 by National Computing Council, India. With over 8 years of extensive experience and expertise across different domains with a variety of clients, I have the competence to understand the clients business needs and provide the client with cutting-edge software and mobile applications. I intend to reduce the risks and time associated with the application development and so I follow industry standard SDLC (Software Developement Life Cycle) process. I generally follow spiral iterative methodology to build software applications in the shortest possible time and with zero risk. I start the project by gathering business and technical requirements, designing, development, integration & testing, deployment & acceptance and finally maintaining the product. Have exciting work !!! Let's discuss. © 2019 Rakesh Chouhan. All rights reserved.